Part of milk being healthy for the human body was spurred by misinformation campaigns in the 1980s. Many myths were accepted as truths relating to calcium and bone health. Over 99% of the body’s calcium is in the skeleton, where it provides mechanical rigidity. Pasteurized dairy forces a calcium intake lower than normal and the skeleton is used as a reserve to meet needs. Long-term use of skeletal calcium to meet these needs leads to osteoporosis. Dairy is pushed on Americans from birth yet they have one of the highest risk of osteoporosis in the world. The pasteurization process only creates calcium carbonate, which has absolutely no way of entering the cells without a chelating agent. So what the body does is pull the calcium from the bones and other tissues in order to buffer the calcium carbonate in the blood. This process actually causes osteoporosis. The type of minerals in any calcium food or supplement determines the absorption levels: Opti-Cal/Mag with Vitamin K2 is a co-enzyme complex, heat-stabled molecules that must be associated with another enzyme for them to perform their function in the body. It is necessary in the utilization of vitamins and minerals for proper delivery to the cell nucleus. For example, one study found that Opti-Cal/Mag complex is 8.79 times more absorbed into the blood than calcium carbonate and 2.97 times more than calcium gluconate. So you can obtain far more absorption from this type of supplement than any type of cow’s milk. Last year, Karl Michaelsson at Uppsala University in Sweden and his colleagues published a paper which challenged the dogma that high milk consumption results in stronger bones. They followed 61,433 women over 20 years and 45,339 men for 11 years, and found that the more cow’s milk people said they drank, the more likely they were to experience a bone fracture during the study period. 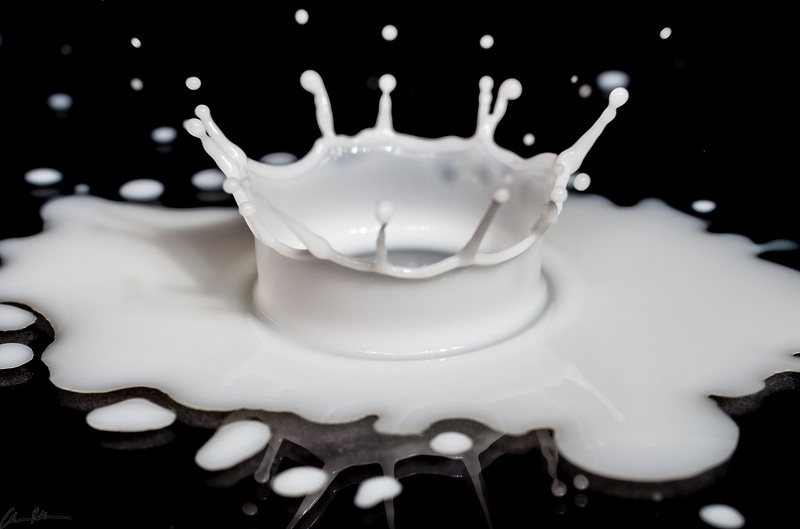 The risks were greatest for women: those who drank three or more 200-millilitre glasses of milk per day had a 16 per cent higher chance of sustaining a bone fracture than those who drank only one. What’s more, those who consumed more milk were also more likely to die during the study; the women who drank three or more glasses had double the chance of dying as those who drank one (BMJ, doi.org/f22kjh). Michaelsson’s theory is that galactose, one of the constituent sugars of lactose, is to blame. When lab animals are fed modest amounts, equivalent to one to two glasses of milk per day for humans, galactose triggers premature ageing and shortens life expectancy due to oxidative stress and chronic inflammation. Theoretically, this could lead to bone loss and muscle damage — which would boost fracture risk — and also contribute to other diseases of aging, which might explain the increased mortality that Michaelsson recorded. Other studies have similarly cast doubt on the link between a high calcium intake and a reduced risk of fractures, and increasing evidence is suggesting that the general population should change their dietary patterns when it comes to cow’s milk. A 2005 review in Pediatrics showed that milk has no effect on preventing stress fractures in girls. In fact, the research linked higher milk consumption with higher fracture risk. People who eat more dairy fat or more high-fat dairy foods tended to beleaner and/or to gain less weight over time than people who eat less dairy fat. In studies that directly compared high-fat dairy to low-fat dairy, high-fat dairy was associated with better weight outcomes. None of the studies find links between high-fat dairy and higher weight, nor between low-fat dairy and reduced risk for obesity. By reducing the fat, skim milk is certainly lower in calories, but authors of one study in JAMA Pediatrics – David Ludwig, of Boston’s Children Hospital, and Dr. Walter Willett, of the Harvard School of Public Health – believe lower calorie beverages do not necessarily mean lower calorie intake. Consumers are being milked and skimmed in more ways than one. The promise of weight loss and healthier hearts by drinking skim/low-fat products is false and actually seems to cause weight gain. Then the milk conglomerates, many call them the milk monopoly, take the good fats they took away from you and sell it back to you at higher profit margins in other products. Mario Kratz, PhD, a nutrition scientist and associate member at Fred Hutchinson Cancer Research Center in Seattle analyze 11 observational studies that evaluated the association between dairy fat and the development of risk factors for diabetes, such as elevated blood sugar and insulin levels. Of these 11 studies, six showed that higher dairy fat consumption was associated with markers of better metabolic health than low fat. Only a single study showed an association between higher dairy fat consumption and a marker of poorer metabolic health–and it was just one marker, the glycated hemoglobin value (an indicator of blood glucose concentration over time). As for the development of type 2 diabetes itself, of the eight studies that looked at this issue, three reported that high-fat dairy intake was associated with lower risk for diabetes…four found no association between full-fat dairy products and diabetes…and one had inconsistent evidence. A study at Harvard in 2006 suggested that a high intake of skim milk can impair ovulation, while drinking whole fat milk can improve fertility. Those who are planning to get pregnant or are currently pregnant should stick to whole milk. The preponderance of evidence does not support the idea that high-fat dairy promotes metabolic disease. A previous study actually found that those who drank low fat milk had a higher chance of being overweight later on in life, according to Time Magazine. Plant-based milks may have other benefits as they are low in calories, which could be helpful for weight loss. There’s been extensive development in North America around non-dairy milk in the last couple years. Lately coconut milk and hemp milk have made great strides in the marketplace and are likely the two best alternative sources. Due to problems with soy (most sources are GMO and unfermented), it’s one non-dairy milk you should steer clear from. Almond and rice milk are two other options although not as nutritious as coconut or hemp. Hemp milk (also called hemp beverage) has a creamy consistency that tends to be a bit thicker than skim milk and other milk alternatives. It has a slightly nutty flavor (similar to almond milk). Hemp seeds are rich in the plant-based omega-3 fatty acid ALA, and several hemp milk companies add additional hemp oil into their hemp beverages — so drinkers get the omega-3 benefits.
? Does Stress Influence Hair Loss? 8 Herbs And Foods That Help To Optimize Hormone Balance In Men ?